Denny Jump (Bellevue, WA, United States) on 11 August 2013 in Landscape & Rural. 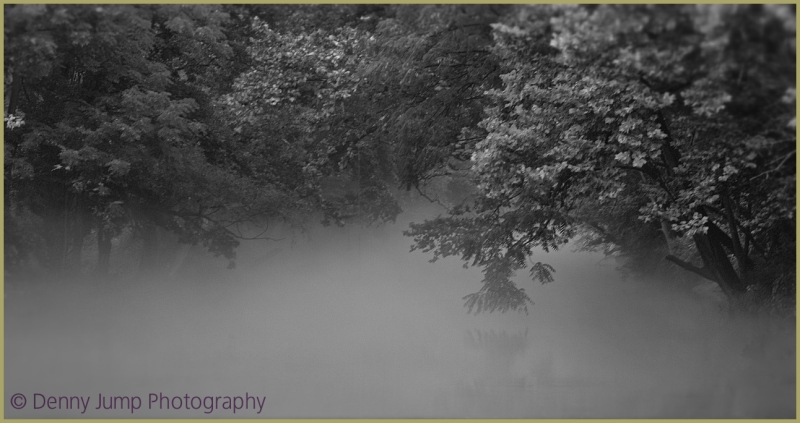 The combination of smooth, glassy water underneath the soft fog and detailed trees really seemed ethereal. Processing this on my iMac, I got the snazzy idea of presenting the image in B&W...I will show the colour version tomorrow. I like this. It looks great in B&W. Beautiful mood. Have a good day. This makes a strong art image - already, I prefer the b&w but you have a way of surprising us ! Enjoy Sunday. J'adore++++ cette photo superbe en B&W!! I like how you can see just a hint of reflection. It looks very mysterious! Great b&w! Oh, good. I can't wait for tomorrow to see both b/w and color versions. I like this very, very much.